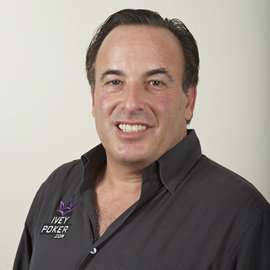 Commodities trader and ultra-high poker tournament Daniel Shak is back in hot water with the United States Commodity Futures Trading Commission (CFTC) after the agency filed a civil enforcement order against Shak, charging him with violating the terms of a previous CFTC order and agreement that was reached in November of 2013. The latest episode, according to a CFTC press release, alleges that Shak (or an agent trading on Shak’s behalf) traded June 2014 gold futures during the closing period on May 22, 2014, in violation of a ban against that type of transaction that was in effect against Shak as a result of the 2013 case and settlement. The trading during the one-minute-long closing period — akin to a market-manipulating practice called “banging the close” — is among a group of commodities- and market-trading strategems that attempt to artificially impact market closing prices in various ways, and are often frowned upon by regulators. In this latest complaint, the CFTC will seek an unspecified financial settlement against Shak and his investment entity, SHK Management, LLC, after having already collected a $400,000 settlement from Shak in connection with the November 2013 complaint. In that matter, Shak was accused of attempting to manipulate the price of Light Sweet Crude Oil (WTI) futures on the New York Mercantile Exchange (NYMEX) , on two separate days back in 2008. In addition to the $400,000 fine, Shak was also issued a two-year ban by the CFTC last November, specifically against doing any traded during the closing period, the exact same type of transaction, the CFTC alleges, that he attempted in May. The latest complaint alleges that Shak (or a third party acting on his behalf) purchased two gold futures contracts 46 seconds before the market closed, during the last minute of trading action for the day, the designated “closing period” on the NYMEX. According to the CFTC, “The CFTC filed this Complaint to enforce the 2013 CFTC Order, and the Complaint seeks additional civil monetary penalties against Shak personally.” The CFTC complaint also states that the agency plans to seek a permanent trading ban against Shak. Though unspecified as to amount sought, the complaint asks that the court order Shak to disgorge “all benefits received,” as well as be subject to a penalty of up to not more than triple Shak’s alleged monetary gain on the futures contracts, or $140,000 per alleged violation, plus court costs. Shak, who relocated to Las Vegas in recent years after his well-publicized divorce from Beth Shak, has been involved in other interesting financial situations involving gold prices. Back in 2011, gold futures prices bounced erratically after Shak was forced to cut his losses in another hedge-investment vehicle of his, SHK Asset Management; in that strange episode, Shak’s modest investment fund, valued at about $10 million, had managed to acquire an interest in about $850 million worth of gold-futures contracts — about ten percent of the entire market. Shak reportedly lost about $7 million in that selldown, which also came as he sold his $7.5 million Manhattan apartment and relocated to Las Vegas. Meanwhile, socialite wife Beth was in the news as well, in particular for gaudily showing off her $6 million shoe collection and appearing on a cable-network reality-TV show. Shak ranks at 59th on the Hendon Mob’s list of all-time career tournament poker money winners, though that result is something of a mirage, inflated by Shak’s frequent appearances in ultra-high-roller events. Shak’s three largest wins, accounting for than $3 million of his $5.6 million in tournament winnings to date, comes from a win and pair of runner-up finishes in Aussie Millions and PokerStars Caribbean Adventure super high-roller events. Shak’s other biggest “winning” payday was $528,000 for winning the 2013 PartyPoker.com Premier League Poker VI in London; that was an invitation-only even with a tiny field and a $125,000 entry fee. Shak’s only other win of note was in another specialty event, the 2007 Ante Up for Africa charity tourney at the WSOP. Shak has never won a major open-field title, despite his hefty amount of dollars won in tourneys; his best large-field finish is a second place, for more than $200,000, in a 2010 WSOP Omaha hi/lo event. Shak also signed a deal in 2013 to become a part of the IveyPoker.com’s “Team Ivey,” where he is described as a “commodities trader” and “high stakes tournament specialist.” Among that page’s bio blurbs is the statement that, “Shak’s main profession is as a commodities trader and he recently admitted he still works 10 to 12 hour days.” However, if the CFTC is successful in having Shak permanently banned from commodities trading, he’ll be looking for a different sideline to compliment his poker events.